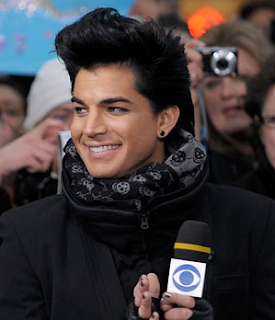 Recent American Idol runner-up and American Music Awards controversial performer Adam Lambert revealed that he used to weigh 250 pounds. Adam told Morning Jolt's Larry Flick on Sirius satellite radio: "I suffered from a little bit of an ugly-duckling complex in my early 20s. When I was in high school I was 250 pounds and that creates some stuff ... some body image stuff, some confidence issues. And I got a lot of my confidence from the validation I got as a performer." He admitted earlier this week on The Ellen DeGeneres Show that his AMA performance might have been a little much and over the top: "I think in hindsight I look back on it and I go, OK, maybe that wasn't the best first impression to make again, the first second impression. I mean, I had fun up there. I respect people, and I feel like people walked away from that feeling disrespected. I would never intend to disrespect anybody. So that was not my intention."